1. Trial & error – trying different things. Many of us want to do what we love for a living but aren’t sure where to start – the important thing is to just start. We can start by trying the things we’re interested and observing whether or not we resonate with them and then modeling ourselves after those who have already achieved what we aspire to do. 2. Creativity – sharing our creations with the world. Now that we have the internet there are no gatekeepers stopping us from creating a career out of doing what we love. We have YouTube, SoundCloud, Instagram, Twitch and so many more platforms where we can share what we love with the world and create an income for ourselves in the process. 3. Boredom – knowing what we don’t enjoy. Doing something we hate just to pay bills is stressful, however this can be the best time for us to think about what we’d rather be doing and invest our time outside of work into those activities until they can support us financially. 4. Meditation – receiving higher guidance. Meditation serves as the gateway to receiving downloads from the universe to help steer us in the direction that feels right for us. When we pray we are speaking our intentions to the universe, when we meditate we are listening to it. 5. Reflection – reliving childhood. One of the most powerful ways to create our ideal careers is reliving our childhood by doing the things we enjoyed as children before societal ideas of success were imposed on us. 6. Persistence – working on what we love every day. Doing what we love every day is how we create a career out of our passions, however there will be times when we see little to no progress and these are tests from the universe to assess whether or not we are committed to the path. The barrier to entry for success is hard work. 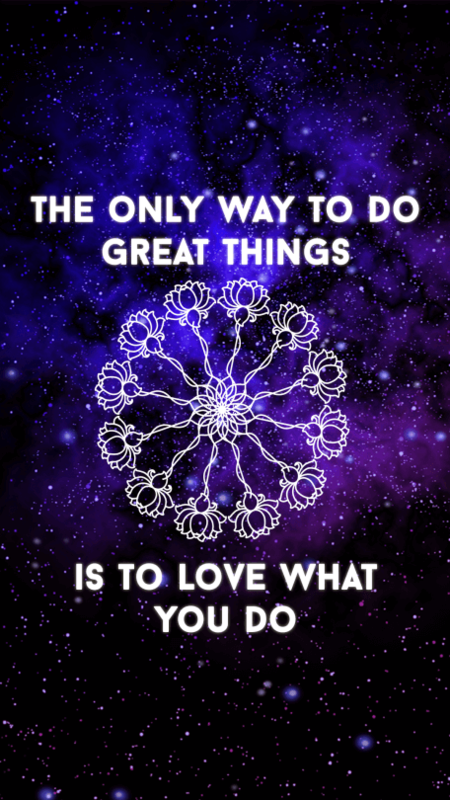 The only way to do great things is to do what you love.